Vinegar has been utilized in home remedies and folk medicine for ages. According to a review published in "Medscape General Medicine," the use of vinegar for health purposes goes all the way back to ancient Greece. A combination of vinegar and water is typically recommended in modern times, and while it does carry some positive attributes, there are negative ones you should be aware of. 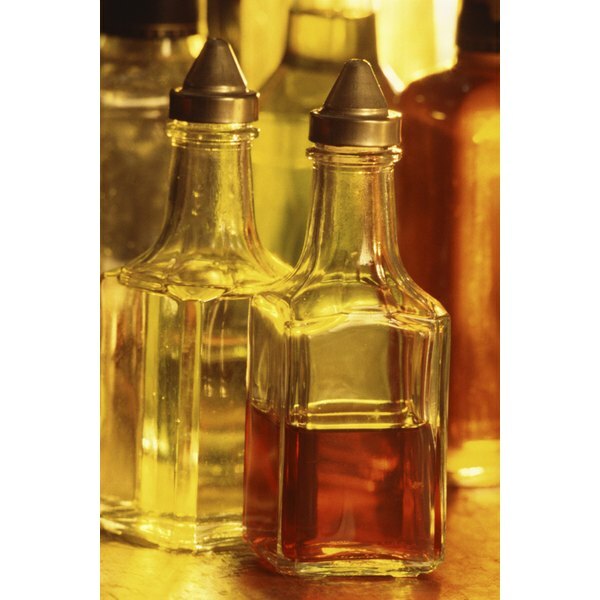 When using vinegar as a supplement, there is a standard formula most alternative health experts suggest. According to Earl Mindell, M.D. and author of "Dr. Earl Mindell's Amazing Apple Cider Vinegar," the standard remedy requires combining 1 cup of water with 2 tbsp. of apple cider vinegar and drinking it before each meal to improve digestion, combat arthritis and infections and control cholesterol. According to a review published in "Medscape General Medicine" in 2006, vinegar contains polyphenols, a kind of antioxidant derived from plants, that helps to protect your body from free radicals. According to the review, Kurosu vinegar is thought to have an extraordinary amount of polyphenols, which may protect you from developing heart disease and cancer. Limited research has been done in this area as of 2011, however, so the exact benefits of vinegar's polyphenols are not known. Drinking vinegar water may help to regulate blood sugar in those with type 2 diabetes. According to a study published in "Diabetes Care" in 2007, people in the study had type 2 diabetes and were fed vinegar before each meal. Their blood sugar was tested in the morning and following meals. The results showed a reduction in blood sugar after the meals. Again, however, this benefit is based on limited research and should not be used as a basis for drinking vinegar water as a supplement. Drinking vinegar water can cause serious side effects due to its high acidity. According to MayoClinic.com, drinking vinegar can wear down tooth enamel and burn your esophagus. In addition, drug interactions may occur if you take diuretics or insulin. Can Organic Apple Cider Vinegar Help Lower Cholesterol?